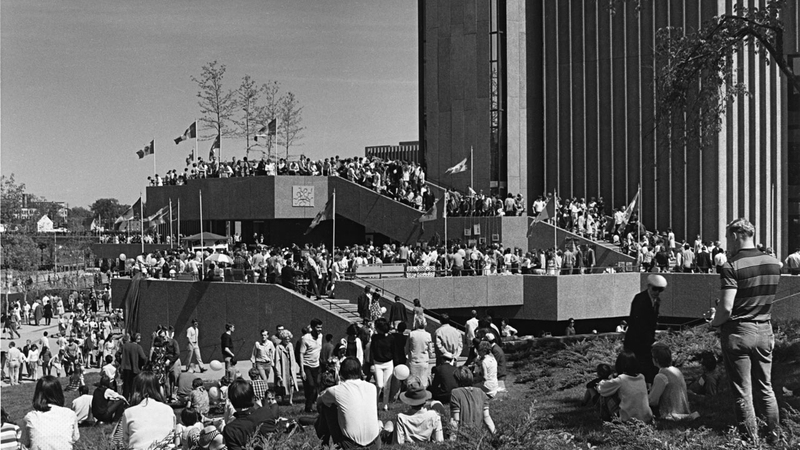 The opening of the National Arts Centre was a significant moment for Canadians. On May 31, 1969, 40,000 people flooded downtown Ottawa to see the NAC. Its opening night on June 2 was a grand affair that was covered by national and international media. “Not since Expo 67’s shimmering debut has an opening night stirred such an exhilarating sense of grand occasion,” Time Magazine wrote. In the Opera, as Southam Hall was then called, the National Ballet of Canada performed a new, avant-garde commission called Kraanerg that was lauded by the New York Times. The two-week opening festival included performances by the Montreal and Toronto Symphony Orchestras. Vancouver Playhouse brought George Ryga’s The Ecstasy of Rita Joe, a play about a young Indigenous woman that would become a seminal work in Canadian theatre. 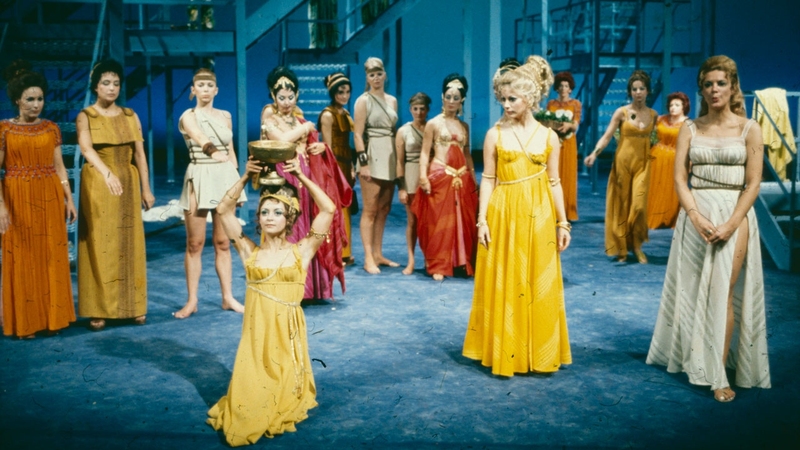 Montreal’s Le Théâtre du Nouveau Monde presented a musical adaptation of Lysistrata, headed by two legendary Quebec artists – the playwright Michel Tremblay and the director André Brassard. The NAC Orchestra was also formed that summer, with its first concert taking place on October 7, 1969. The Orchestra would go on to present exceptional performances in Ottawa, Canada and across the world, garnering national and international acclaim. The Orchestra continues to commission, perform and record new Canadian work. And, perhaps the strongest message of all: that the NAC would have Canada at its core. Those messages are as true now as they were then. There is so much to celebrate: thousands of extraordinary performances, partnerships with exceptional arts and education organizations from every corner of the country, and an enduring commitment to strengthen the performing arts across Canada. As the NAC enters its next 50 years, and as it was on its opening night, the NAC will remain a source of pride for all Canadians. Source material for this article courtesy of Art and Politics: The History of the National Arts Centre by Sarah Jennings.